Thanks for your interest in becoming a part of the Taz family of hair salons. If you’re looking for the opportunity to become an associate owner of a highly successful business, then you may be just the person to be a part of the Taz Salon Expansion Program. If the salon of your design is attractive, warm and welcoming, stay tuned. 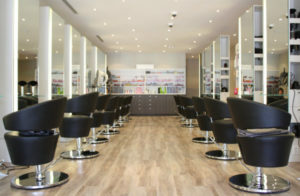 And if your ideal stylist is open-minded, well trained and knowledgeable of current trends and techniques, then you need look no further. You’ve just imagined the very attributes that define Taz Hair Co., an intimate, progressive, award-winning salon with multiple locations across Ontario. Taz maintains a relaxed energy where efficient, yet unhurried services are performed on contented clients. There is no attitude, no egos. But make no mistake; the talent amassed in this low-key salon is impressive by any standard. Between them, Taz stylists have won some of the most prestigious awards in North America. If you want to be a part of this prestigious series of salons, simply fill in the contact form below and we will send you the Taz Associate Owner Package for you to review. Once you’ve filled in all the forms, send in your application to us and if we think you’d be a great fit, we’ll reach out to discuss our potential opportunities together.